Grate the carrot and zucchini and drain out the excess water of them. Combine them with the beef mince and other ingredients and mix well with hands. 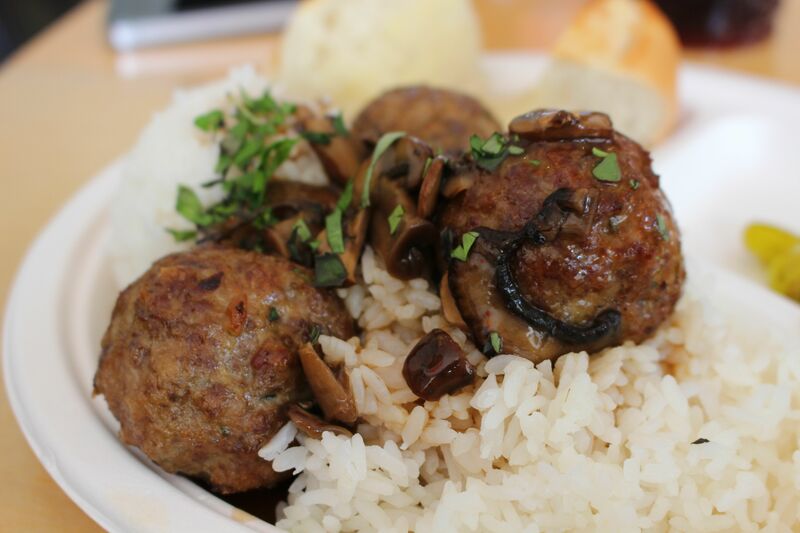 Form a meatballs with any size that you want. Bake the meatballs for about 35 min. Serve them and enjoy the taste. For garnishing,combine some cocoa and cinnamon into small bowl and dip half of the balls into it. Dip the other half of the balls into the coconut shreds. Put them in the fridge for a while. 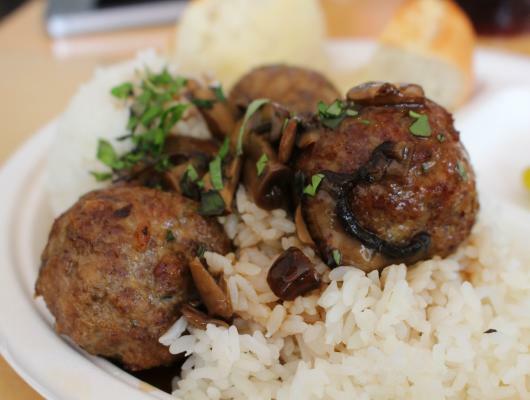 This recipe yield about 15 balls. Serve them and enjoy the sweet taste. So tasty,juicy and delicious meatballs.If you want,use a mix from beef and pork mince for a different taste and nutrition.Another good idea is to mix one whole egg in the mixture.Good side dishes for these meatballs are grated carrots,seasoned with salt,fresh lemon juice,olive oil and sprinkle of crushed walnuts or thinly chopped cabbage mixed with carrots,salt and apple cider vinegar or steamed vegetables like carrots,zucchini,broccoli.If you want more carbohydrates to this meal,make a mashed potatoes with carrots.These side dishes pairs perfectly with these yummy meatballs.Experiment and have fun.